Home » Why Choose A Law Firm Advertising Agency? There are a lot of options when choosing an agency to spearhead your advertising efforts. Some law firms choose to hire in-house advertising and marketing staff, but that can be costly. Others may turn to an ad agency that is local to their practice, or one that has been recommended to them by another business. However, marketing tactics that work for other verticals don’t always translate to effective marketing for your law firm. A plan that works for an e-commerce company may not be successful for your law office, because your goal isn’t to sell inventory – it’s to get more cases for your practice. 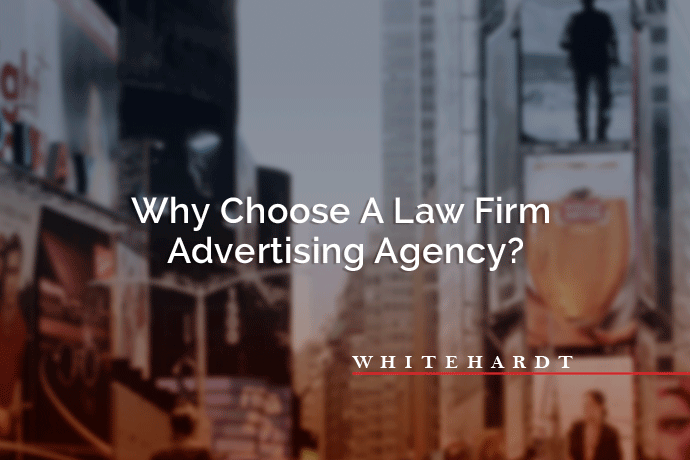 By choosing an agency that specializes in advertising for law firms, you get advice that you know that will work for your firm. When you choose an advertising agency that specializes in law firm marketing, then you get the expertise of your industry. We have tried and true advertising methods for getting your phone to ring, because we have been advertising for other law firms in other markets for years. Your office won’t have to weather through a series of unsuccessful lawyer commercials before seeing one that produces results – we know what will produce results for your firm today. This ultimately means that you begin to see a positive return on investment right away. Why pay to test new ads when we can promise proven success? Our agency is DMA-specific. How does this benefit your practice? Your competition will not have access to the same creatives and the same rates as you. When you become a Whitehardt client, your markets are yours and yours alone. We sign a non-compete with you for every market in your DMAs. Each of your ads will be unique to your potential leads. When an agency isn’t market-specific, they could be negotiating rates and setting bids for both you and your competition. How can you be certain that you are the priority for your agency? With Whitehardt you can be confident that you are getting the best rates possible for your media buys. We won’t be bidding or negotiating against your firm for your competition, we will be negotiating on your behalf. You will always be our top priority in your markets. More and more local attorneys have been interested in extending their firm into mass tort advertising. The margins for the return on investment for mass torts is expansive. We not only have cracked the code on the effectiveness in local attorney advertising, we are experts in mass tort advertising as well. We stay attuned to the trends in mass tort advertising, and negotiate our media buys with networks in advance to make sure that you are getting the best CPM. 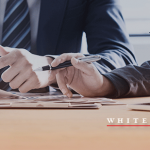 When your firm is ready to take on mass tort advertising, Whitehardt is here with our experience and advice for both your local and national advertising. Some agencies count every time someone contacts your office as a lead. This can mean that existing clients, sales calls and wrong numbers can be counted as a “lead.” We want to measure your advertisement’s success not only on volume, but also quality. We know that leads should mean more than people contacting your firm. We consider leads to be legitimate legal inquiries for your firm. Advertising for a personal injury law firm has historically focused on billboards and television commercials. As more and more of your potential clients shift their focus online, your law firm needs to be seen there as well. Online attorney advertising can be especially competitive, where several law offices are looking to show for similar keywords. To combat this, we make websites that allow you to rank for multiple locations and areas of practice. We don’t put all our eggs in one basket like some SEO agencies. We leverage pay-per-click for direct response advertising online as well as using our best in class strategies to improve your organic search results. We make sure your online campaigns are using best practices so that your clicks come at a low cost without compromising performance. Whitehardt doesn’t just stop at increasing your caseload, we help you settle those cases as efficiently as possible. Most personal injury law firms work on a contingency basis – which means that you are not generating revenue unless you are settling cases. Our consulting services have been used by some of the largest personal injury firms in the country to ensure that they are reaching settlements as quickly as possible, and not languishing by being overloaded with unsettled cases. There are undeniable benefits of opting for an ad agency that specializes in your vertical. At Whitehardt, we solely focus on advertising for personal injury lawyers. From knowing the pitfalls that your law firm might face to having the knowledge of what advertisements work, you can rest assured that you are receiving the best lawyer commercial possible for your practice. Contact us today at (615) 577-1010 to talk to one of our experienced Account Executives about how we can increase your current caseload.